A very eye-catching Graphic Template ! 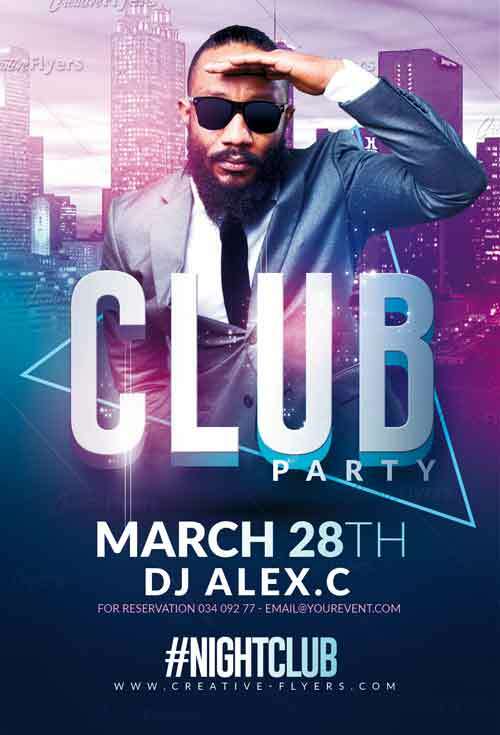 If you liked this style, enjoy downloading this Photoshop PSD Template “Dj Party Flyer “, a first-rate design by Creative Flyers perfect to promote your Club Party ! Print Ready, 300 DPI, CMYK. Easy To Customize, All Text Editable With Text Tool. and modifications you’d like, to make a clearly difference ! to promote their event communication services. but also the text and the elements to obtain unique results, to your liking. NOTE: As specified in the description all our Free Flyer Templates & Premium templates Psd will work with Adobe Photoshop . You have just found an exclusive collection of high quality flyers created by our designers... Create an eye-catching flyer Template quickly with our Template Psd & graphics design ! © 2019 Creative Flyers. All rights reserved.